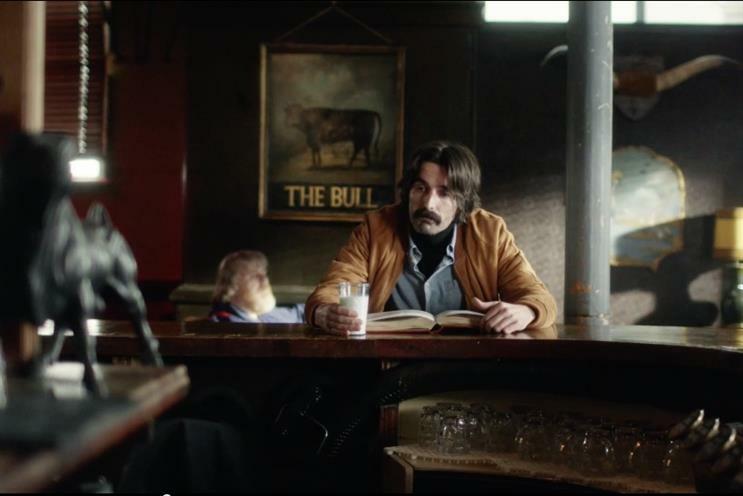 A moustachioed man resembling a cross between one of the 118 118 runners and Jon Voight in 'Midnight Cowboy' is the heavy-drinking hero of an ad promoting not a whisky or spirit but Cravendale milk. The protagonist is seen looking out of place in various situations in a provincial-looking UK setting, attracting bemused looks from the normal people around him. He is described by the gravelly voiceover as "a modern day enigma" and a "connoisseur of the cow". At one point he is seen drinking alone at the bar of a pub (aptly named 'The Bull'), with his glass of white stuff. "His drink is Cravendale," viewers are told. The on-screen action is accompanied with a musical score that conjures seedy Americana.